Beto O'Rourke to run in 2020? 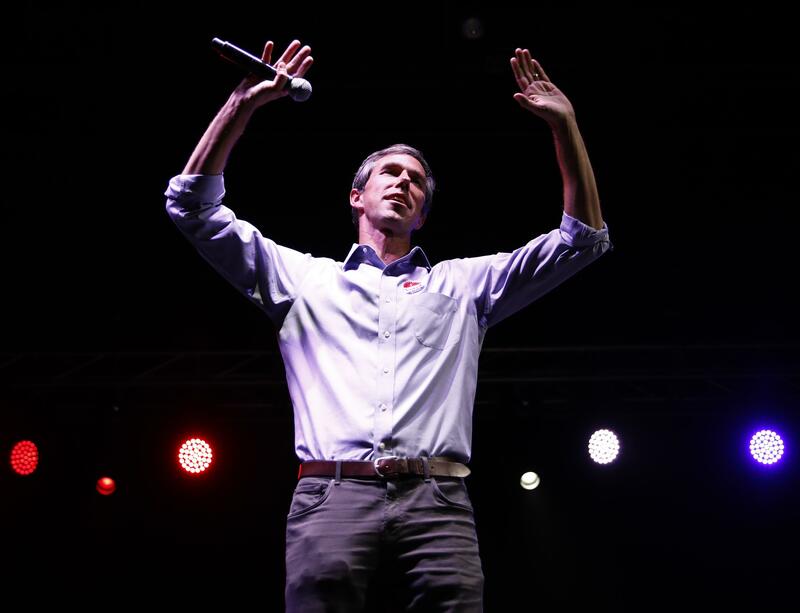 AUSTIN, Texas -- Democrat Beto O'Rourke said Monday he isn't ruling out a potential 2020 presidential run, walking back earlier pronouncements that he wouldn't seek the White House regardless of the outcome of his Senate campaign in Texas. O'Rourke told "60 Minutes" just days before Election Day that "win or lose, I'm not-- I'm not running in, in 2020." O'Rourke told similarly told "60 Minutes" that he wanted to focus on his family. "Amy and I are raisin' an 11-year-old, a 10-year-old and a 7-year-old," O'Rourke said. "And we spent the better part of the last two years not with each other, missing birthdays and anniversaries and time together. And we-- we-- our-- our family could not survive more of that. We, we need to be together." Addressing reporters later, O'Rourke acknowledged that his latest answer was a departure from his earlier insistence that he wasn't interested in a presidential run. However, he provided no further details on what his next moves might be. According to the Texas Tribune, O'Rourke told reports that now that the Senate race is "no longer possible," he and his wife have "made a decision not to rule anything out." "The best advice I received from people who've run for, and won — and run for, and lost — elections like this, is: Don't make any decisions about anything until you've had some time to hang with your family and just be human," O'Rourke said. "And so I am following that advice." According to the Texas Tribune, Monday's town hall was the 102nd since he took office at the start of 2013. He said he has two more left.